Not sure if we recruited White, who played at Independence HS. Would have been during the Pratt and Wissel eras. Diagnosed with leukemia last year. 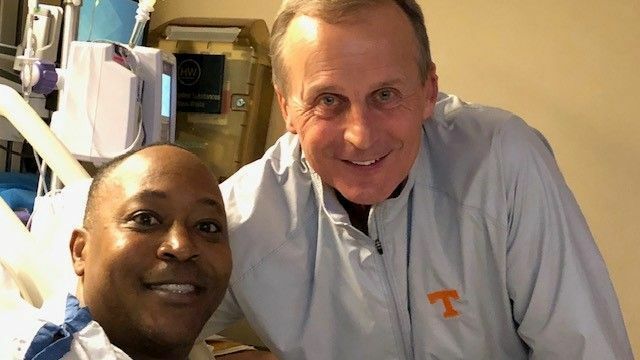 As ex-Tennessee star Tony White battles leukemia, the current top-ranked Vols are among those in his corner. Hal Wissel was once asked why he did not recruit White. He said he did not recruit White because he already had his point guard in Keith Williams. Williams was really good too, though. Keith Williams one of my all-time favorite Niners. White made the right decision to head to Knoxville.